Les Yeux Noirs delivers dramatic volume, enhancing the definition, length, lift and curl of lashes. Created with highly concentrated pigments that layer seamlessly - no flaking or smearing - it provides fierce colour and sets with a luminous finish for impactful colour reflection that lasts all day. Designed with a brush uniquely comprised of both vertical and horizontal bristles, this lash amplifying lacquer ensures smooth and precise application. Bristles at the tip of the brush lift and shape even the smallest lashes. This jewel is made of intricately ribbed brass reminiscent of Art Deco architecture. Its gold silhouette is topped with a delicate black shiny crown dressed in spikes. Les Yeux Noirs is encased in a jewelry-like box. 0.23 fl.oz. Made in United States. 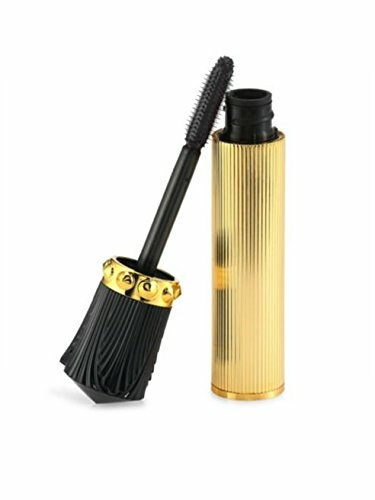 Christian Louboutin Les Yeux Noirs Lash Amplifying Lacquer! Your Choice Of Khol Black Or Sevillana Burgundy! Perfect For Dramatic Volume, Length, And Curl! Perfect Gift! If you have any questions about this product by Christian Louboutin, contact us by completing and submitting the form below. If you are looking for a specif part number, please include it with your message.